Grow your early users 30% by letting them share your product with their friends. "I love what you've done here. Fierce antifraud system. I'm switching through IPs on a vpn and it's still detecting me!" "Love this product. It looks great!" "This is a great service, much needed. I will tell all my dev friends about it. There is undeniable value in this product." No form builder, no CSS, no iframe, no ugly styles. Copy and paste our HTML form in your landing. AJAX ready. No backend needed. Use our JSON response to build leaderboards. Shareable links for social platforms. Get notified when new users subscribe. Set the notification channel and how often. Connect with the growth tools you love. 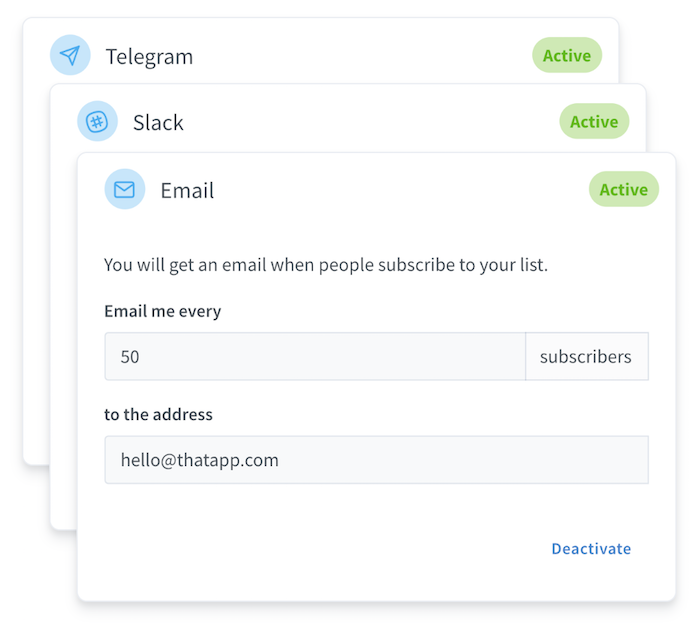 Add your subscribers automatically to MailChimp. 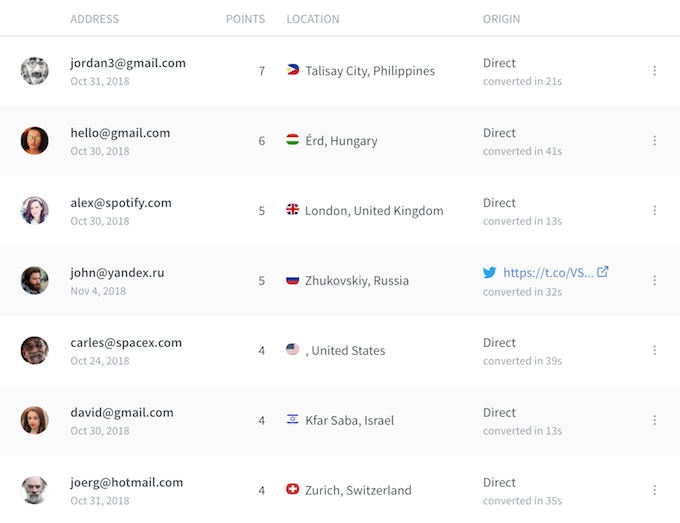 Import/Export your users in CSV anytime. Integrate usign our API and Webhooks events. 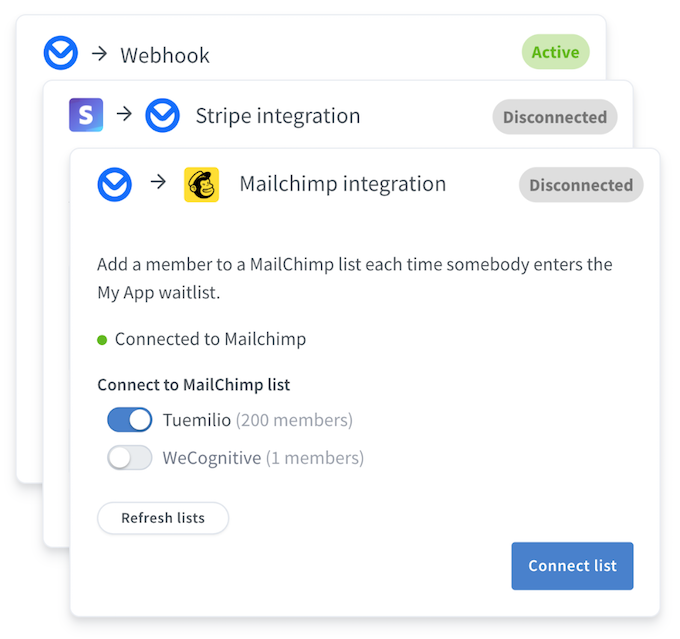 Put your Stripe customers in a viral engine. 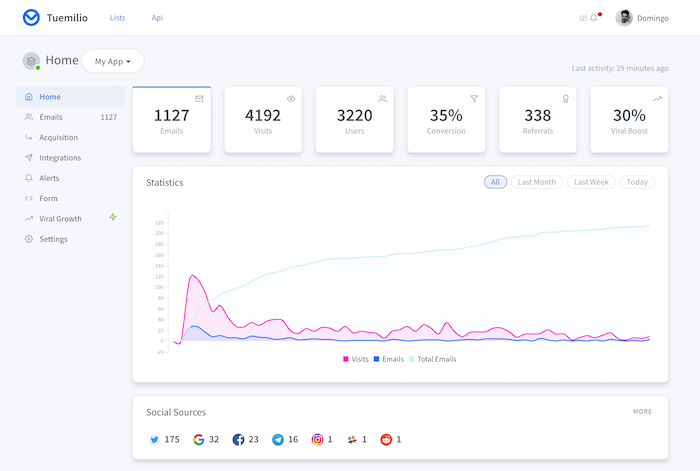 Know how your social channels are performing. 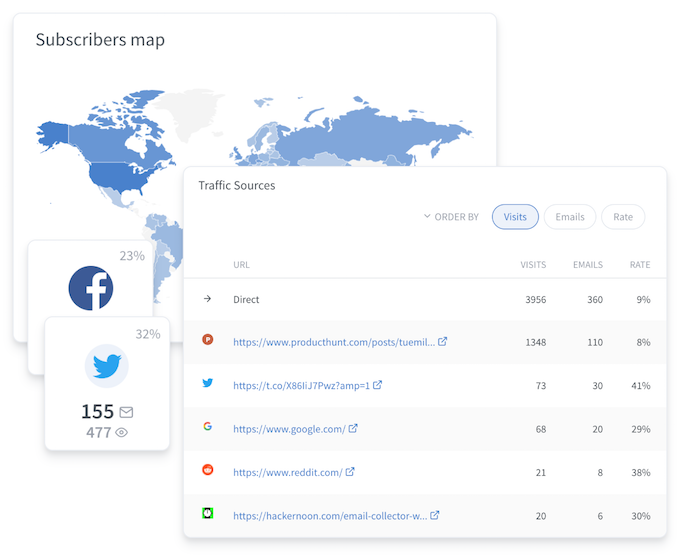 Keep track of referrer URLs. Locate your users on the map. There's a higher likelihood of adopting a product if someone you know and trust introduces it to you. Copyright © 2019 Tuemilio. Made by @manceraio. All rights reserved.